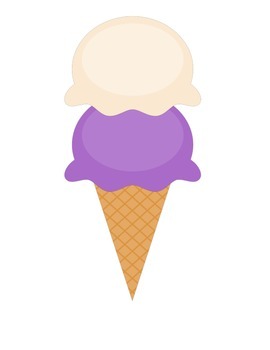 Print, laminate, and cut out these bright ice cream cones. 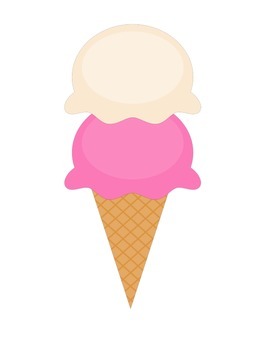 (Use with Student Scoops) Write your classroom jobs on the bottom scoop. 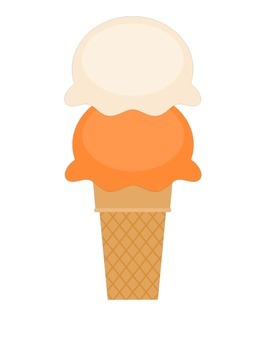 Attach student scoops to the top scoop to display which student that classroom job. 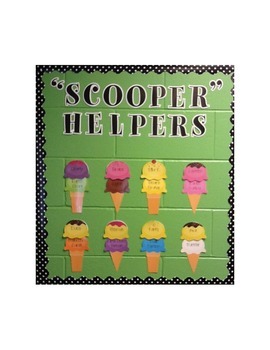 A fun and bright way to display classroom helpers.